Sleater-Kinney's new album, No Cities To Love, is a strong return to form after a long, nine-year hiatus. 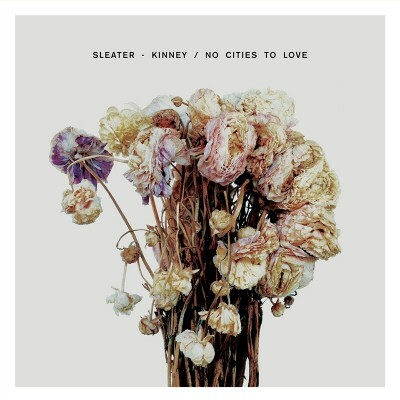 Sleater-Kinney’s new album, No Cities To Love, is a strong return to form after a long, nine-year hiatus. In 2006, I went to Lollapalooza in Chicago and managed to hear Sleater-Kinney for the first time. The friend I was with wanted to leave in the middle of the set, but I was captivated. Unfortunately for me, this was their last show outside of Portland before they went on their nine-year hiatus, and I’ve have to be content listening to their back catalogue for almost a decade, with only the occasional side project to keep me satisfied while I waited for something new. Fast forward to this last fall when Sleater-Kinney broke the internet when they dropped “Bury Our Friends,” the first single from their massive new album, No Cities To Love. More often than not, when bands come back from the dead after a decade or more of inactivity, their new material really fails to live up to the quality of their previous work. Luckily for us, Sleater-Kinney don’t even flirt with lowered expectations on this new record. Everything is just as good as, if not better than, anything they’ve released before. Even better, they move their sound into new an interesting territory instead of falling back on the varied sounds they’ve come up with in the past. After working with producer Dave Fridmann on their last album The Woods, Sleater-Kinney have returned to John Goodmanson, who they worked with on the best of their previous albums. The Woods was a massive album that brought a slight classic rock feel, and overall bigness of sound, that wasn’t necessarily present in their previous work. Luckily for fans of that album, No Cities To Love carries over much of that big sound, while experimenting with new sounds. In particular the song “No Anthems” has an intense and visceral feel reminiscent of “Night Light” from The Woods, while still expanding into new and interesting territory. The experimentation on this record has stretched Sleater-Kinney in so many ways that they’ve recruited a fourth band member to help fill out the arrangements live, a first for the band. You’d be hard pressed to write a better comeback story. Hopefully their live show at The Depot tonight delivers on all the hype I’m feeling. It may or may not be sold out by the time this gets published, but if you don’t get a chance to see this great band this time around, rest assured that you probably won’t have to wait a decade for your next chance.